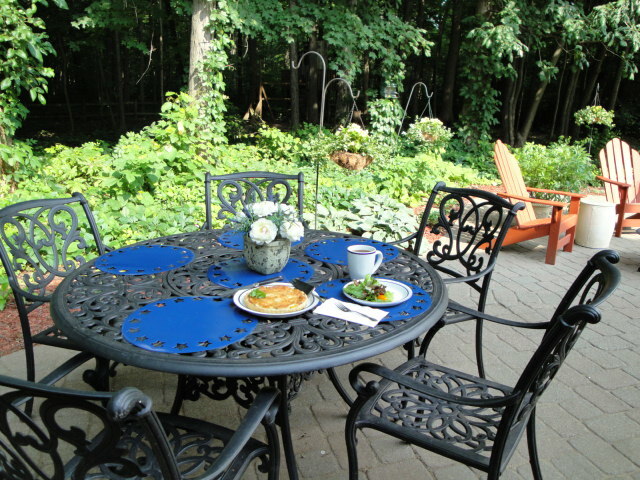 When I think of this Camembert Soufflé it brings up great memories of brunch on the gazebo. 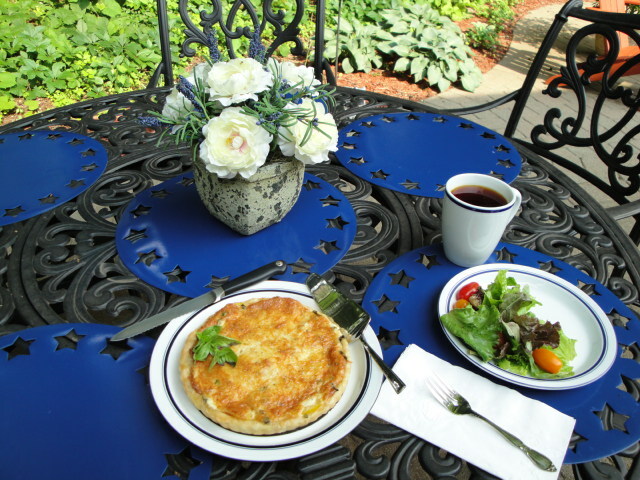 At our first home in Southern California we had a beautiful gazebo in the back yard that was the perfect spot for brunch nearly year round and this soufflé was one of my favorite brunch dishes to serve. Not only was it tasty( the best description I can think of is that it’s like eating a cloud), but I loved the challenge of getting it out to the table before it began its fall from glory. Needless to say this type of challenge was something I relished before kids arrived on the scene, took over the Gazebo as a playhouse and gave me other challenges. So it is highly likely they have no memory of it at all. 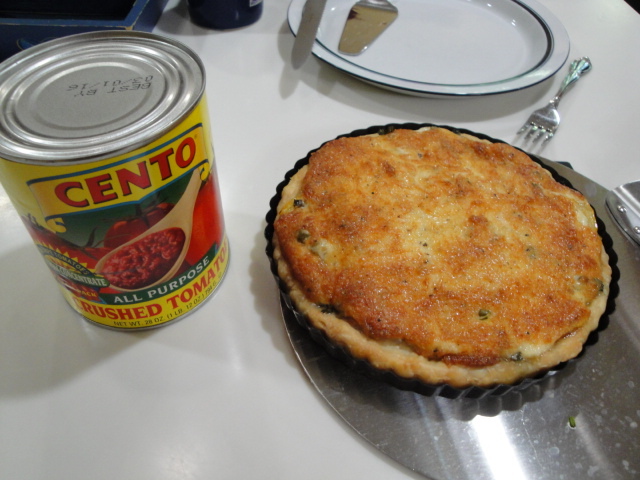 However , it was always one of their Father’s favorite egg dishes, so in honor of Father’s Day I decided to pull it from the files. 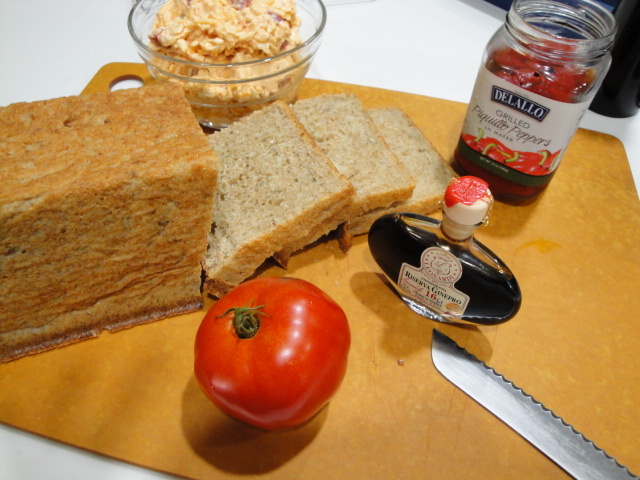 The perfect complements to this dish are a great Bloody Mary (my husband’s department) and a simple green salad lightly dressed in a slightly sweet and tangy vinaigrette. The bite of vodka and spice in the Bloody Mary, the crunch of the celery stick and the freshness of the salad balance the richness of the soufflé perfectly. 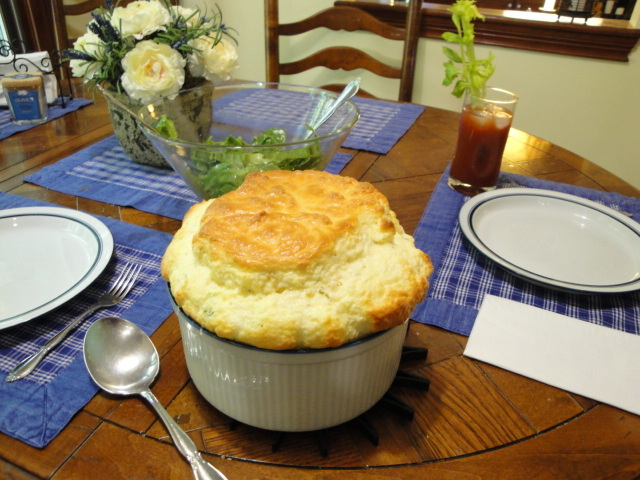 So in honor of Father’s Day I give you Camembert Soufflé. 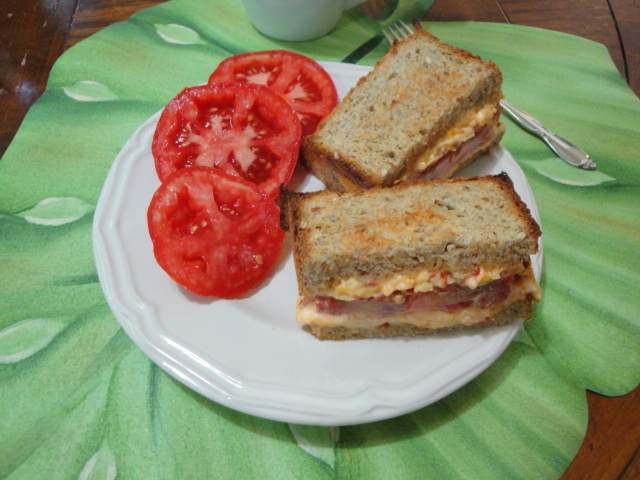 It was the perfect brunch item to enjoy before the father of my two wonderful children settled in to enjoy the US Open. 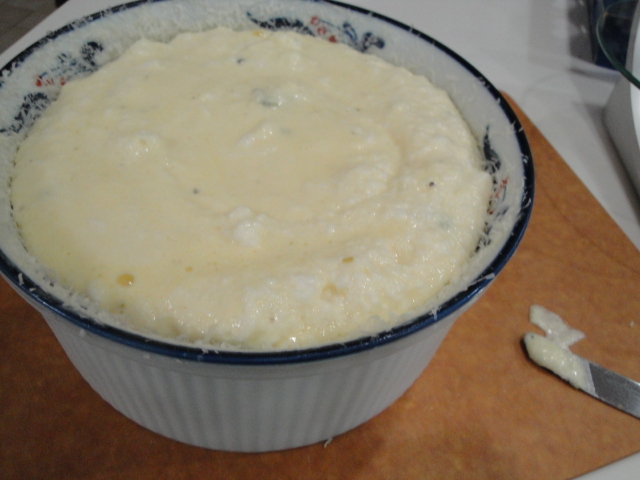 Eggs, butter, cheese, milk, a bit of flour, some aromatics and a bit of technique are all that Camembert Soufflé requires. 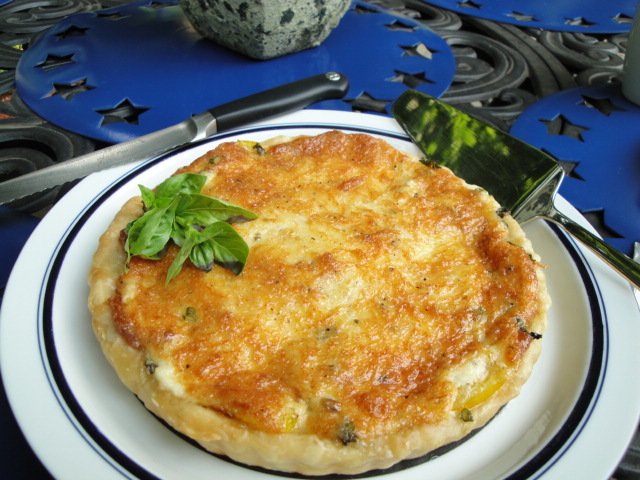 Start the process of making this cloud of an entrée by separating the eggs. Eggs are easiest to separate when cold but whip best when warm-so when making anything that requires beating egg whites to a foam, pull them from the refrigerator, separate them immediately and then proceed with the rest of the recipe. The other key to success when separating eggs is to use a minimum of 3 bowls. One bowl to separate over, one bowl to hold the yolks and one bowl for the whites. 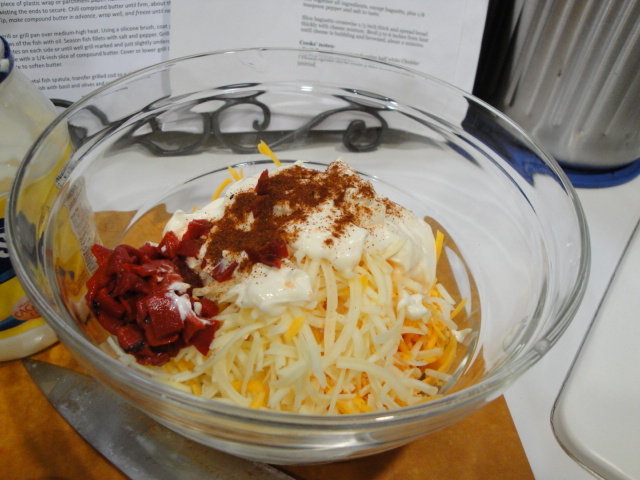 In this recipe I used 4 bowls because it uses a total of 7 whites and 5 yolks. Choose a large bowl for the 5 yolks. Next preheat your oven to 350° F. Make sure you have the racks positioned with enough room to allow the soufflé to rise to its max. Prep your soufflé dish (a minimum volume of 2 quarts) by buttering liberally and sprinkling with finely grated parmesan cheese. Think of the cheese as a rock climbing wall-it gives the rising soufflé something to hang onto as it begins its ascent up the sides of the dish. 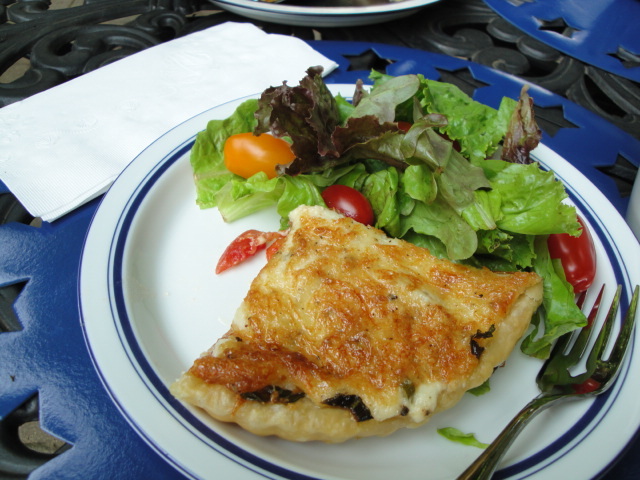 It also give a nice little cheesy crust on the side of the soufflé. 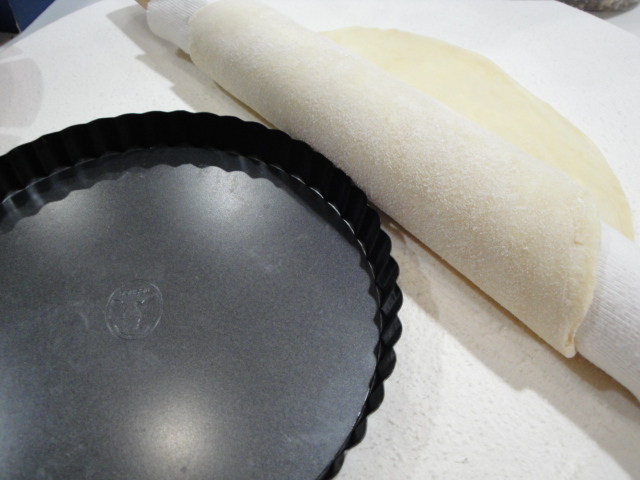 To insure that the “rock wall” is solid-pop the coated dish into the refrigerator while you continue with the recipe. 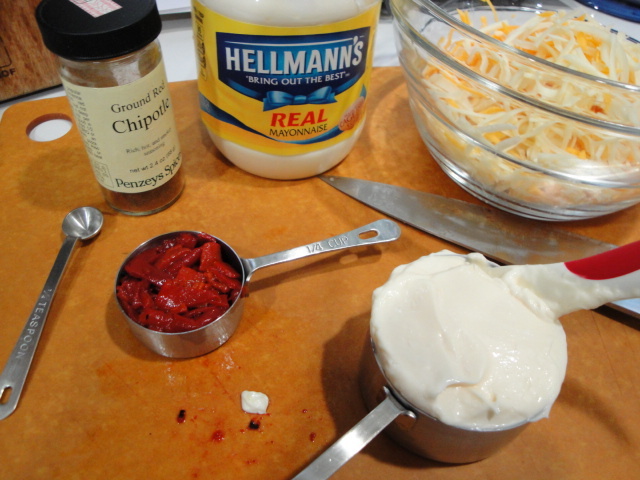 Next prep the rest of the cheese. 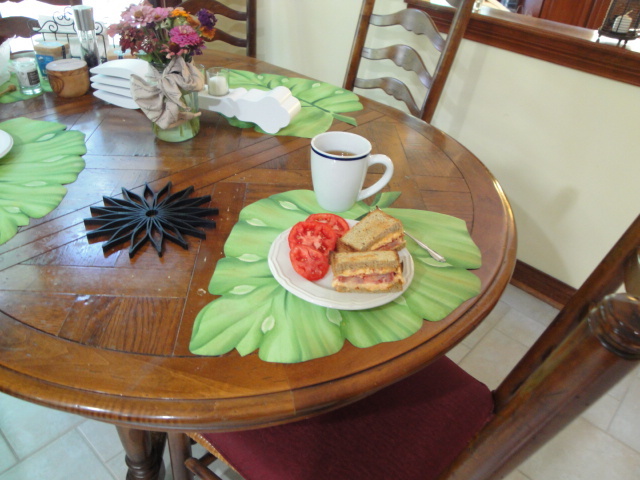 As with eggs, the camembert will be easier to deal with when it’s cold, especially if you have a nice soft, ripe one. 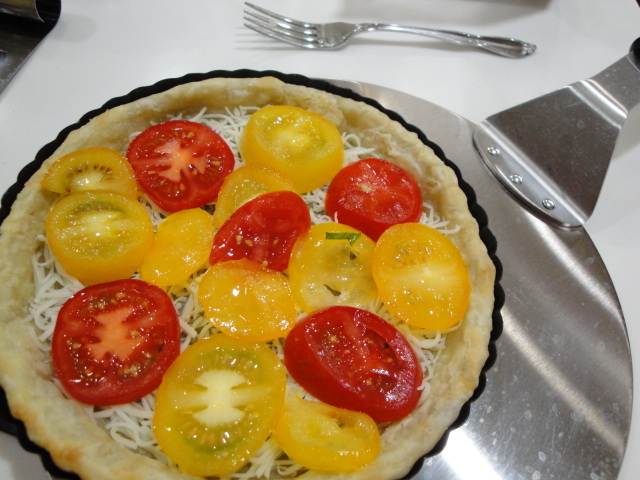 The Parmesan on the other hand is easier to grate when it’s warm. 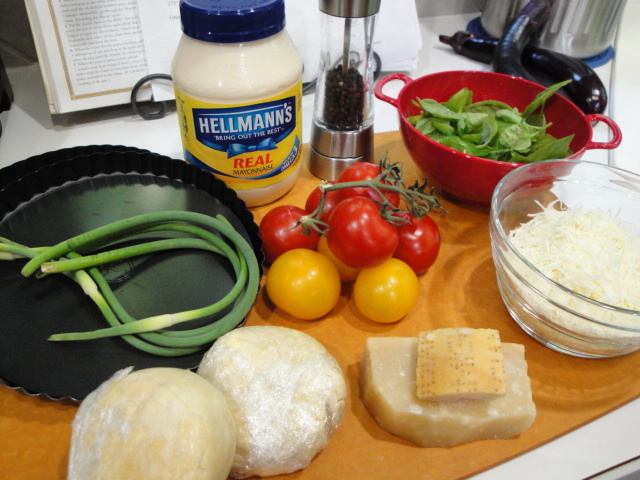 Cheese quantities are always tricky, so I usually pull out my kitchen scale. I used 5 oz. from and 8 oz. wheel of Camembert (we like the rind with a bit of cheese attached to munch on). 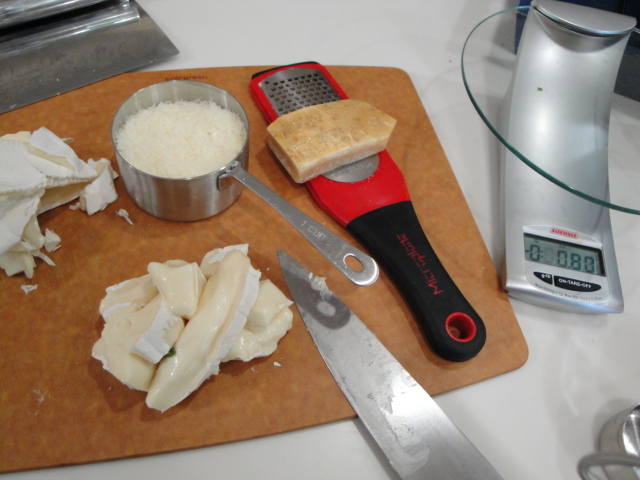 In the case of grated Parmesan, my volume measurements never agree with the standard weight to volume listed in most recipes. In this case I used 1 oz. 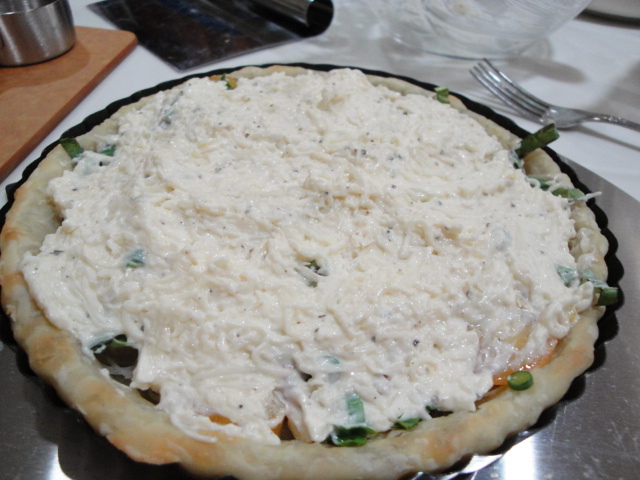 of finely grated cheese which was approximately 3/4 cup (not the 1/2 cup = 2 oz. that seems to be the standard). 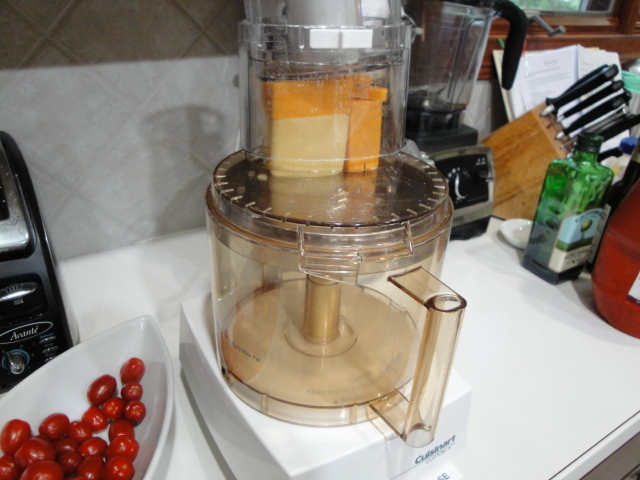 It all depends on the grating, the dryness of the cheese and how tightly you pack the cup. 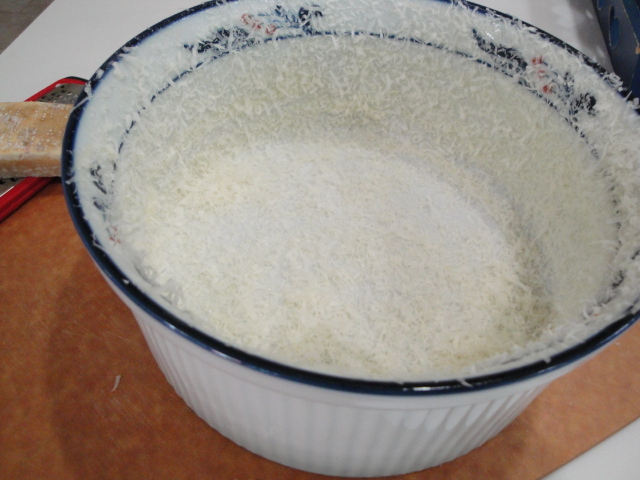 So weigh it if you can, if not 1/2 cup (tightly packed) to 1 cup (very loosely packed) Parmesan will be fine! Now for the aromatics. 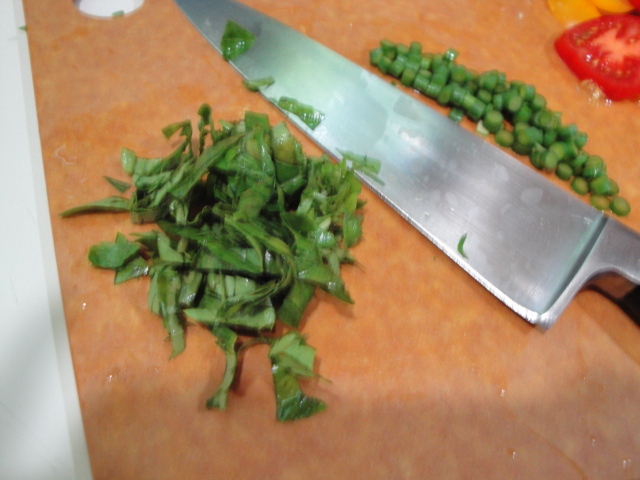 In this recipe they need to be finely diced. 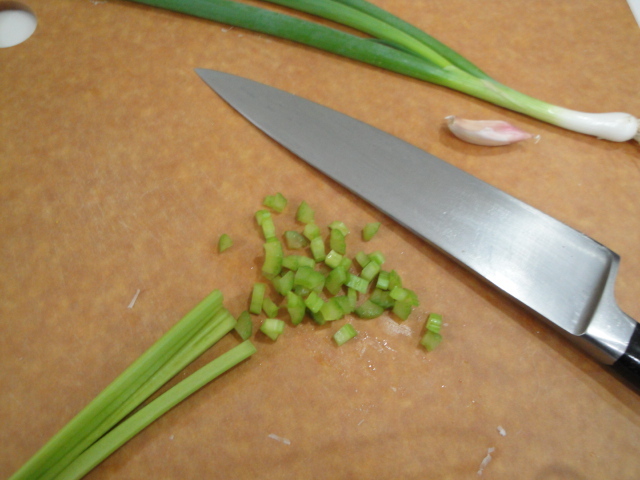 The easiest and fastest way to dice celery is to make thin slices along the length of the stalk and then thinly slice. 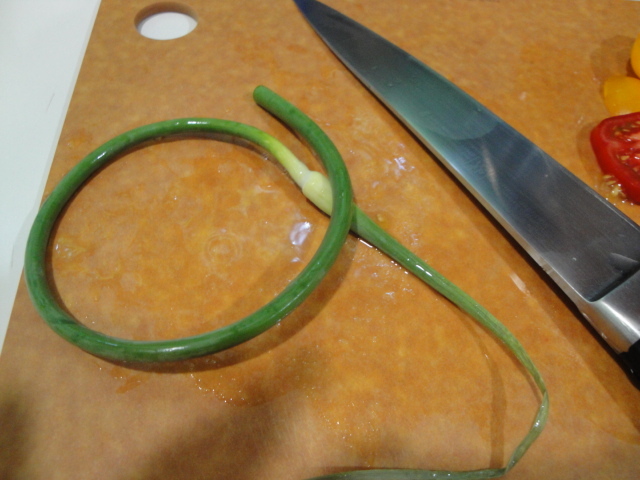 If the scallion/green onion is thin enough simply slice thinly, if it’s a fat one use the same technique you used for the celery. 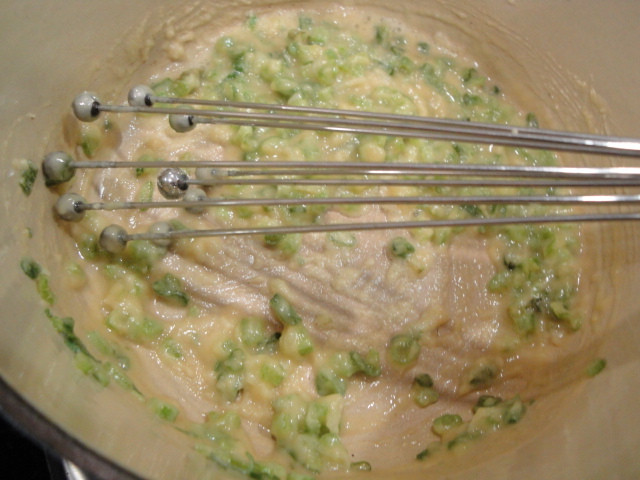 Melt the butter in a heavy-bottomed pot and add the celery, onion and garlic (as always garlic goes in last). 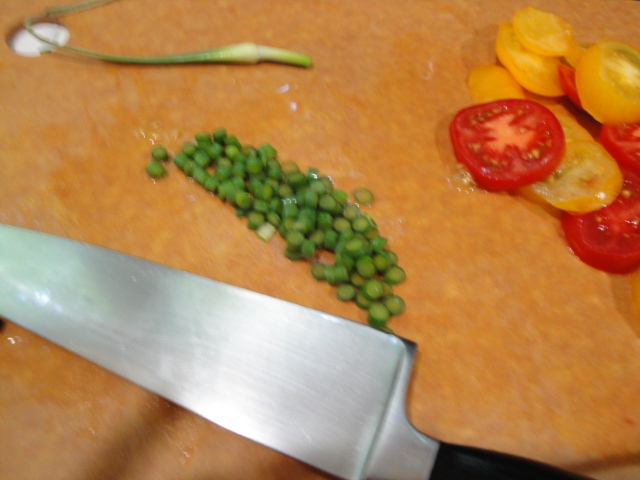 Sauté until the celery is soft and the onion is translucent-do it on low so the butter doesn’t brown. 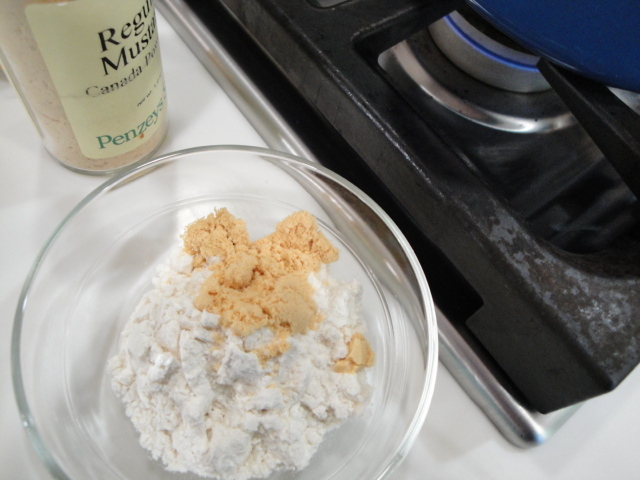 Stir in the mustard and flour and pepper to make a roux. Cook for just a few minutes to cook out the raw flavor of the flour, but you want a very blond roux, so again low heat and a heavy pot are key. 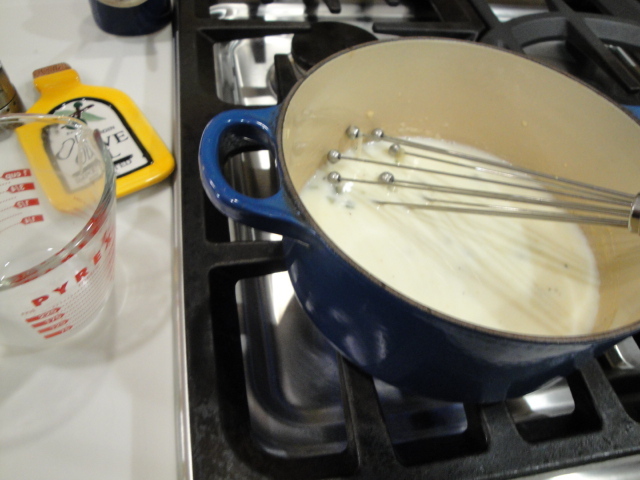 Whisk in the milk and cook until thick and bubbly. 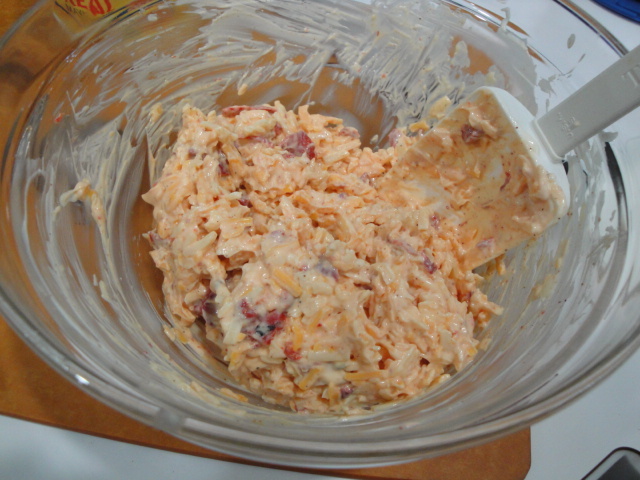 Add the cheeses and whisk until all are melted. 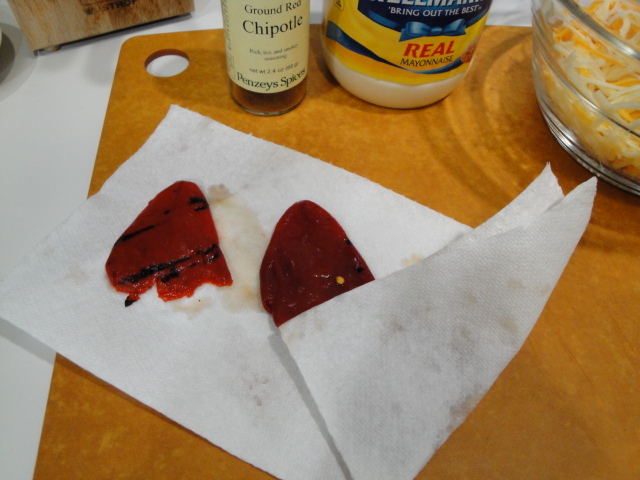 Then remove from the burner and set aside to cool slightly. Now back to those eggs that have had a chance to warm up. 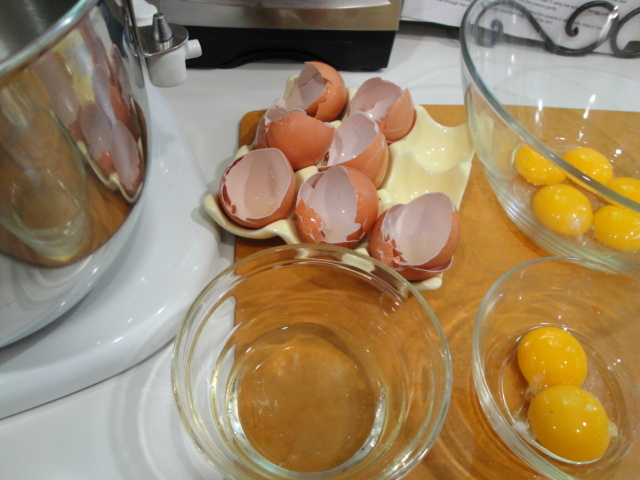 Be sure to use a large bowl for beating the egg yolks as it will need to hold all of the soufflé mixture. 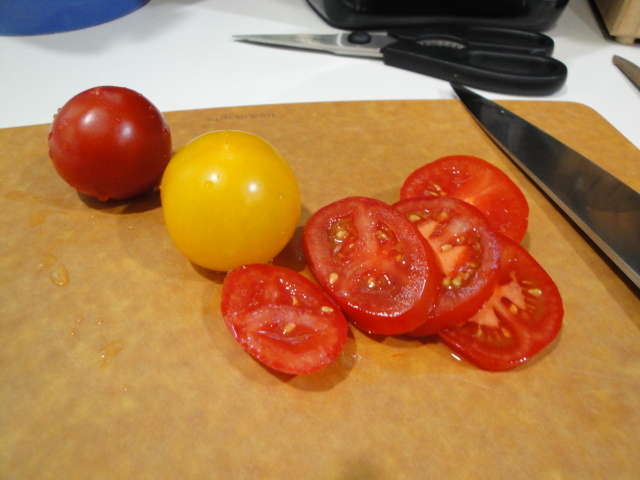 Beat the yolks until they are thick and light in color. 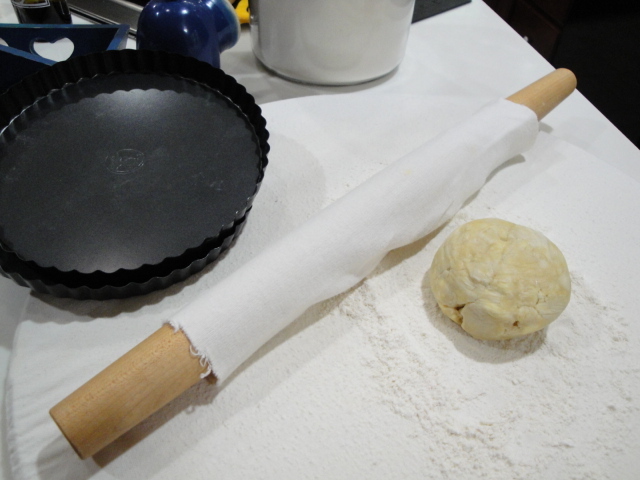 This will take approximately 5 minutes with a good hand mixer. 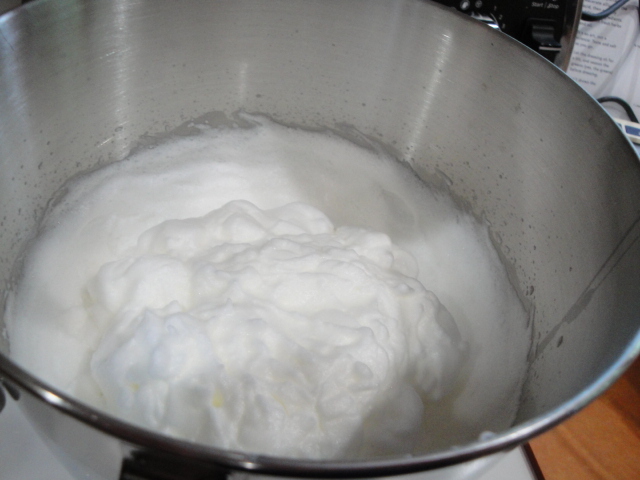 Now beat the egg whites to stiff but not dry peaks. I was concerned that I had gone a bit far with these, but you’ll see in the end, they were nearly perfect! 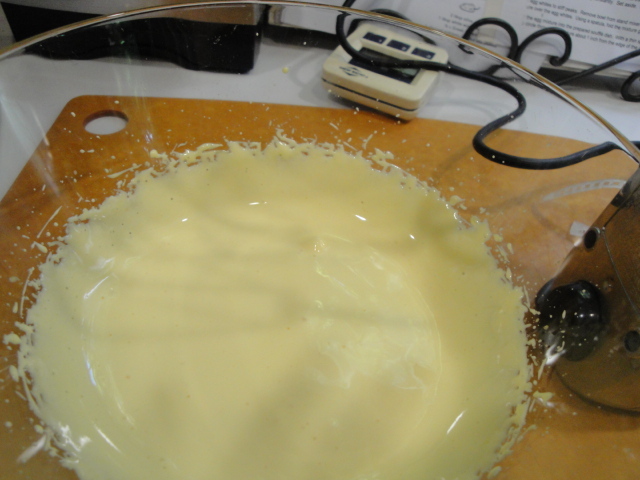 Fold the whites into the yolk/cheese sauce mixture in 1/3 increments. In the addition of the first third you can be a bit aggressive with the folding but with the 2nd and 3rd additions, fold gently. Down through the middle, up and over, give the bowl a quarter turn and do it again until combined. Err on under rather than over mixing. 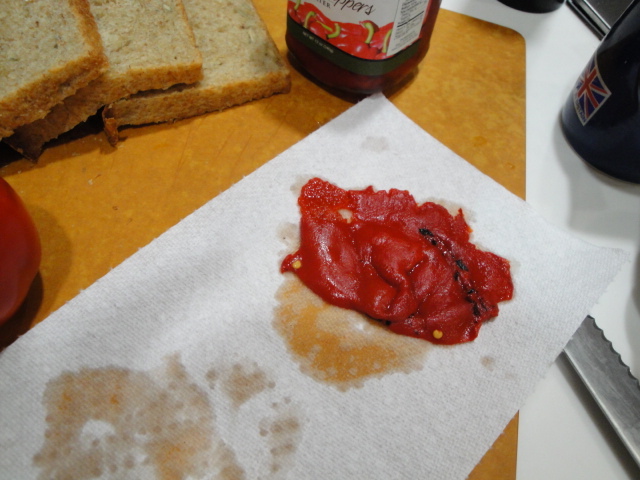 A few spots of egg white are fine. 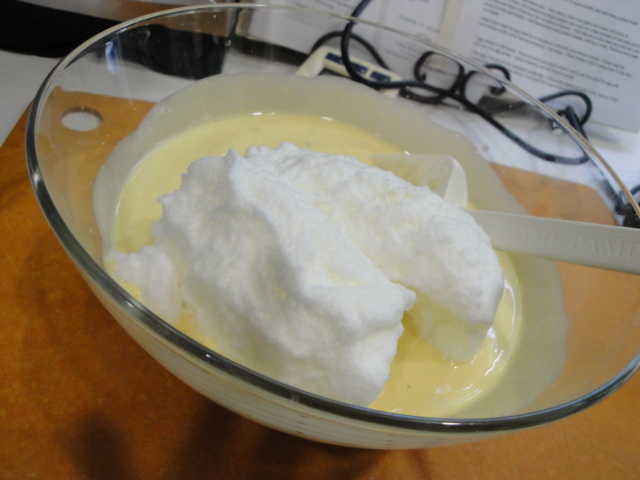 Pour the mixture into the prepared soufflé dish. 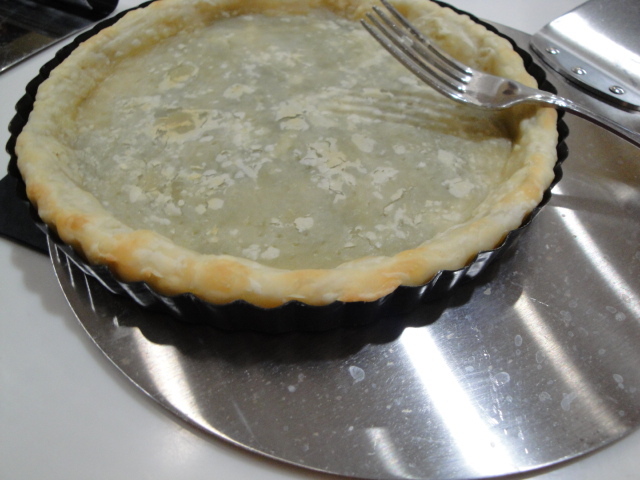 With a thin spatula or table knife, trace a 1 inch deep circle through the mixture approximately 1 to 2 inches from the edge of the dish. 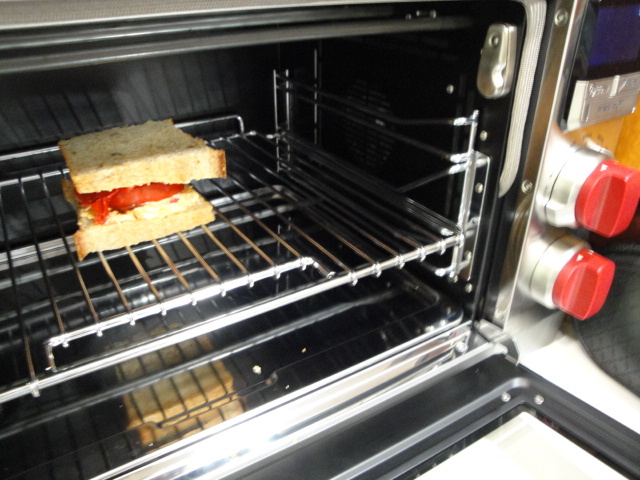 Gently place in the preheated oven and bake for 40 minutes without opening the oven door. Hopefully you have a glass door and a light so you can see the magic happening. 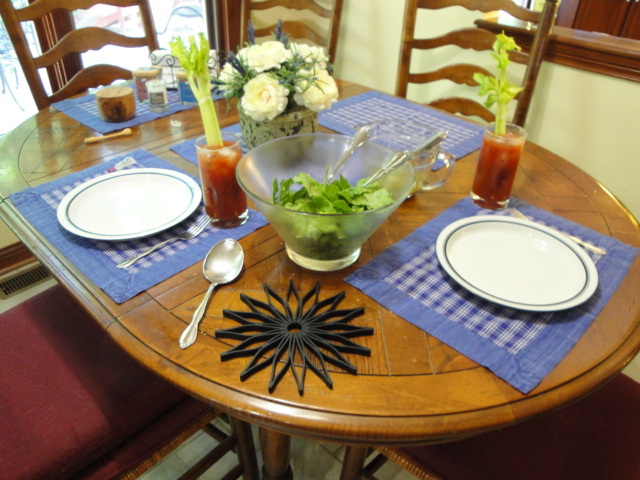 While the soufflé is baking set the table, make a salad and a batch of Bloody Marys -soufflés wait for no one! At the end of the 40 minutes, carefully open the oven door and if the stuff is tall and nicely browned take it to the table. 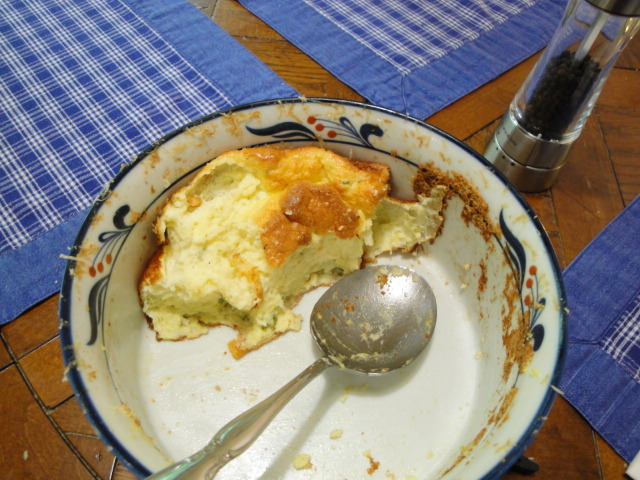 The original recipe says to check for doneness by inserting a knife in the center while the soufflé is still in the oven but if it looks like this go for it. Ok so the recipe says that it serves 6, but this is what we had left between the two of us! When you’re eating a cloud on Father’s day I guess it’s ok ! I think I’ll work on a downsized version soon. 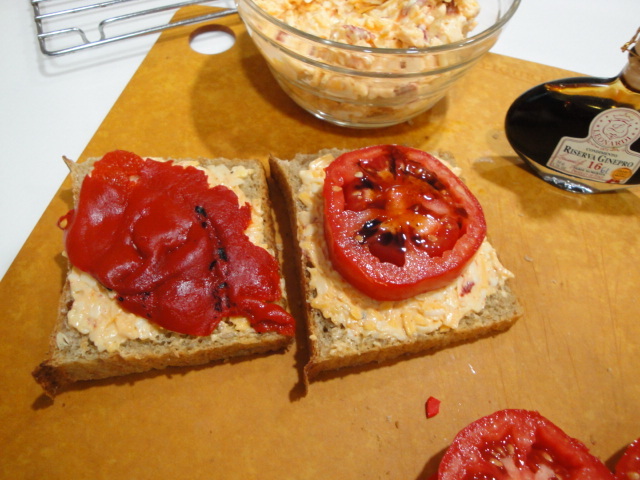 Adapted from a recipe in my files that appears to be from a Better Homes and Gardens cookbook circa 1980’s, an updated but similar version can be found on the BH&G website but I still gave it a few tweaks of my own. 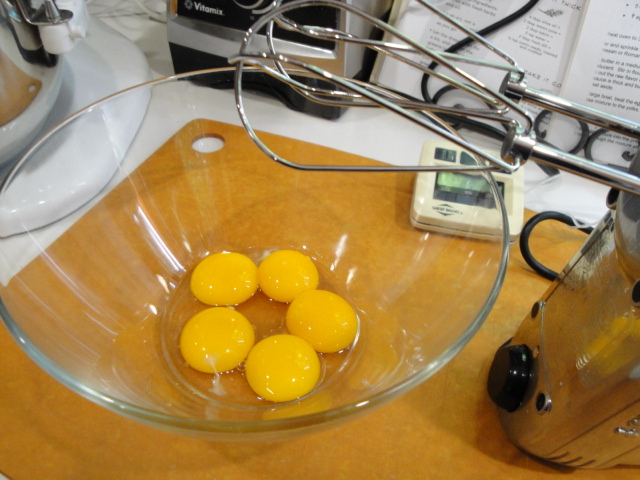 7 egg whites – in bowl of a stand mixer or a separate metal or glass bowl. Separate the eggs and allow them to come to room temperature. 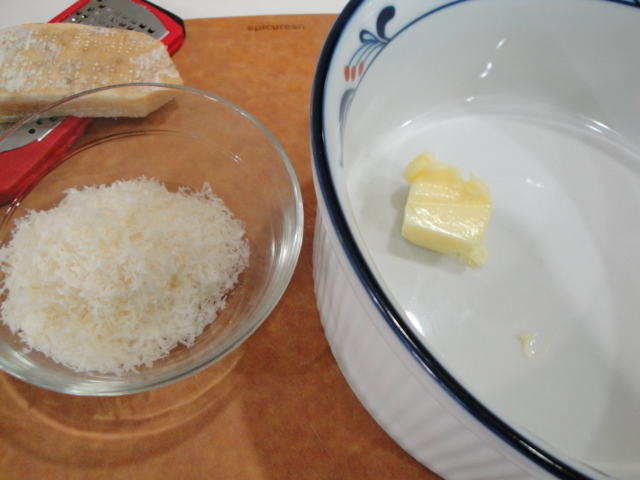 Butter and sprinkle the sides and bottom of a 2 to 2 ½ quart soufflé dish with finely grated fresh Parmesan or Romano cheese. 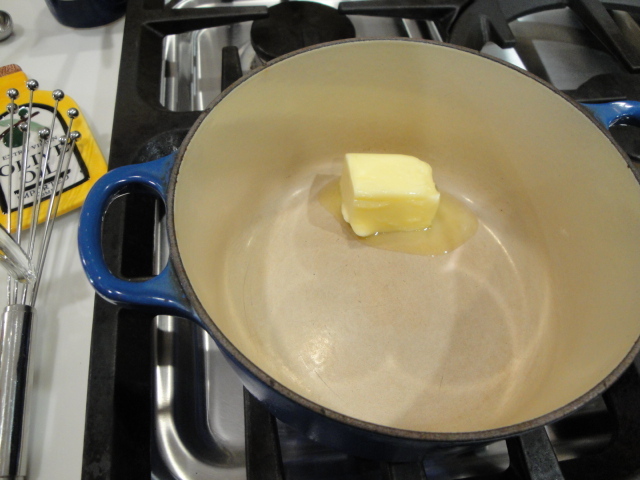 Melt butter in a medium size sauce pan. 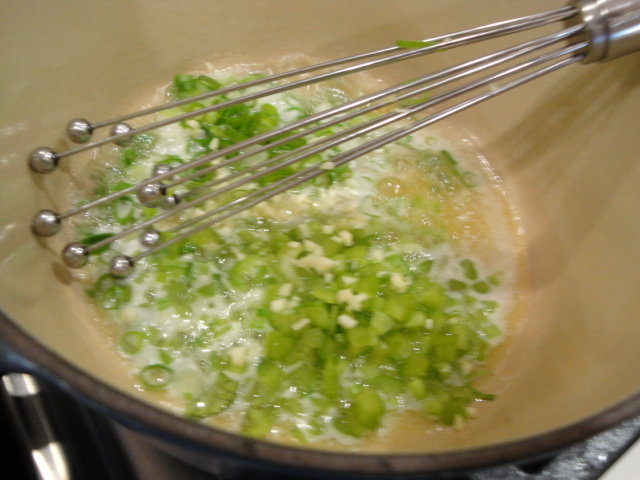 Add celery, onion and garlic and cook until onion is translucent. Stir in flour, dry mustard and black pepper and cook for a few minutes on low heat just to cook out the raw flavor of the flour (do not allow to brown). Add milk all at once and cook and stir until the sauce is thick and bubbly. 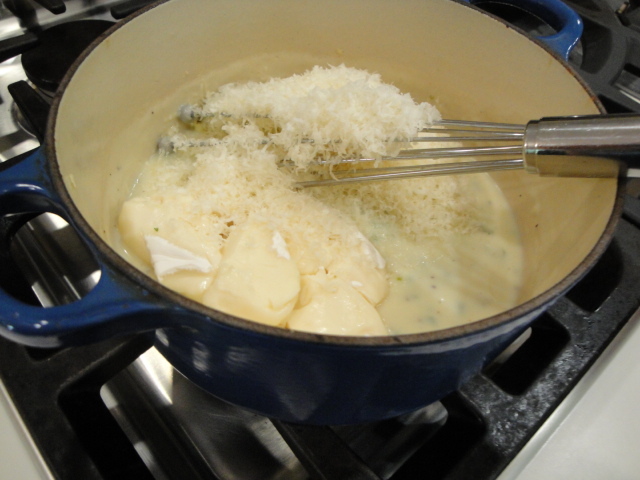 Add camembert and grated cheese, stirring to melt. 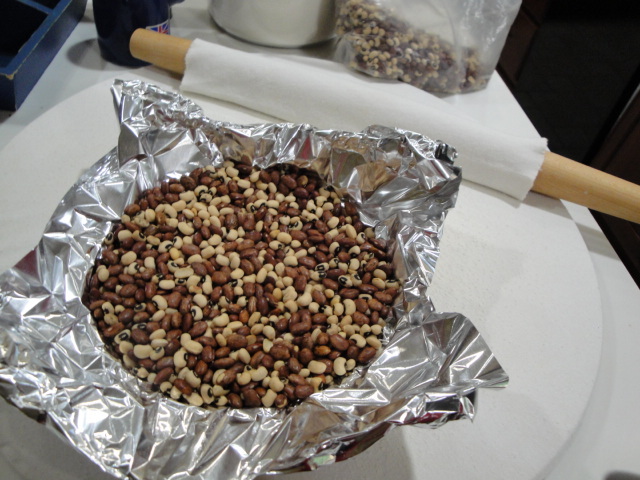 Remove from heat and set aside to cool. In a large bowl, beat the egg yolks for 5 minutes or until thick and light in color. Slowly add the cheese mixture to the yolks, stirring constantly. Set aside. Wash beaters well if using them in the next step. Beat egg whites to stiff peaks. 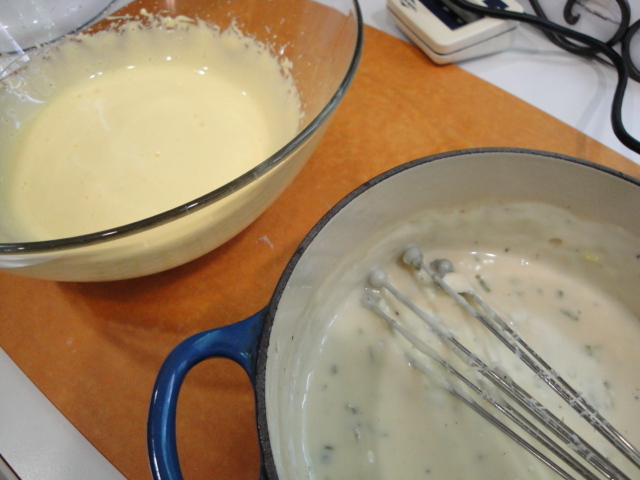 Fold the whites into the yolk/cheese sauce mixture in 1/3 increments. In the addition of the first third you can be a bit aggressive with the folding but with the 2nd and 3rd additions, fold gently. Down through the middle, up and over, give the bowl a quarter turn and do it again until combined. Err on under rather than over mixing. A few spots of egg white are fine. 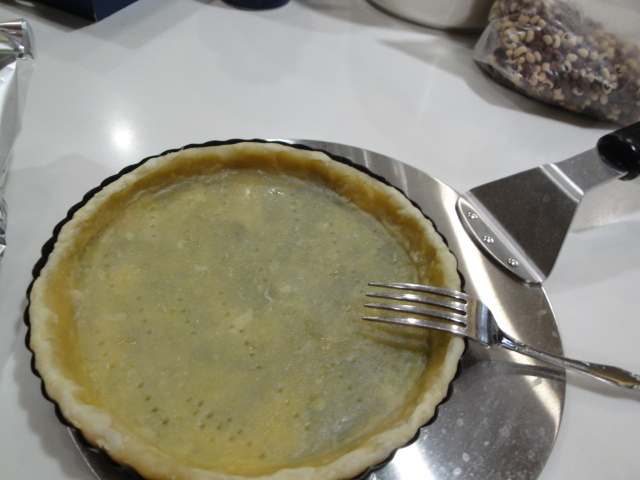 Pour the egg mixture into the prepared soufflé dish. 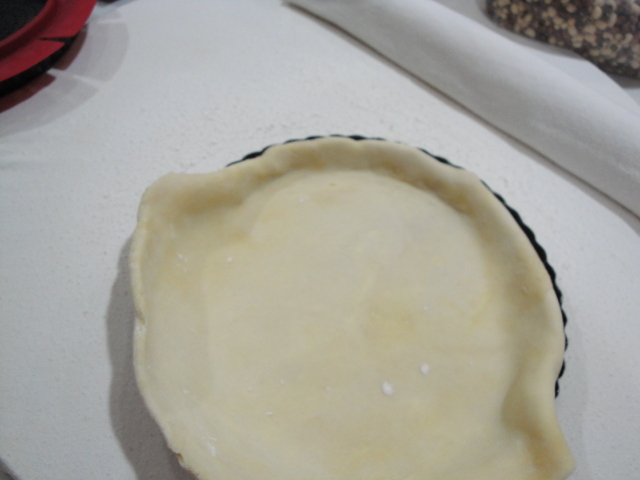 With a thin spatula or table knife, trace a 1-inch deep circle through the mixture about 1 inch from the edge of the dish. 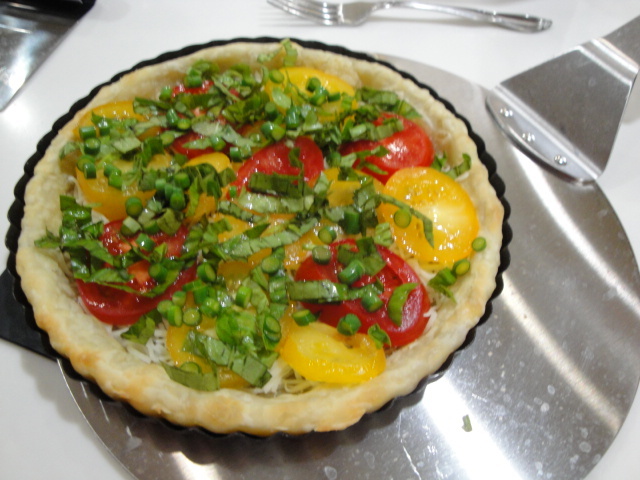 Bake for 40 minutes or until a knife inserted near the center of the dish comes out clean. Do not open the oven door during baking. 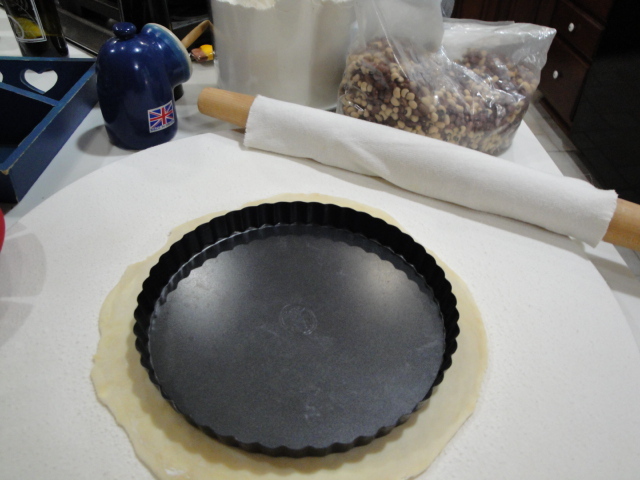 Test for doneness at the end of the suggested baking time while the soufflé is still in the oven. 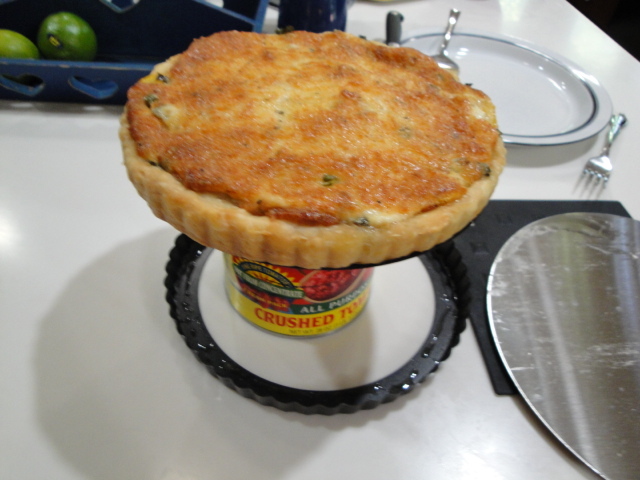 Serve immediately as the soufflé will begin to fall as soon as it comes from the oven. 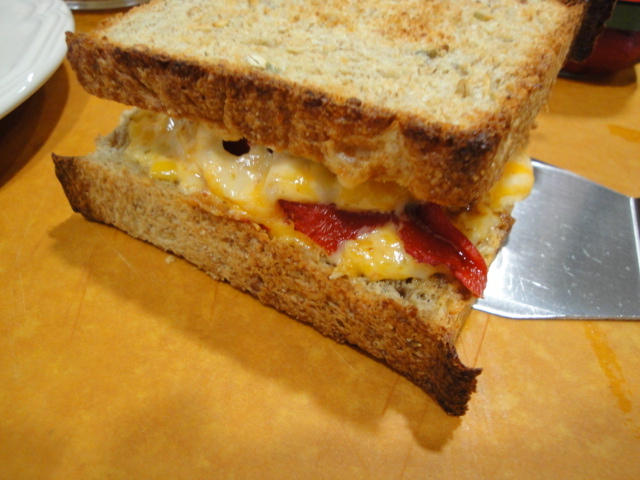 * Cheese quantities are always tricky, so I usually pull out my kitchen scale. I used 5 oz. from and 8 oz. wheel of Camembert (we like the rind with a bit of cheese attached to munch on). 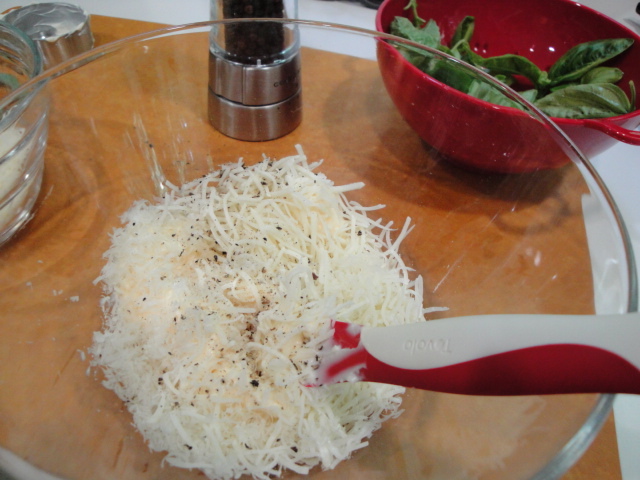 In the case of grated Parmesan, my volume measurements never agree with the standard weight to volume listed in most recipes. In this case I used 1 oz. 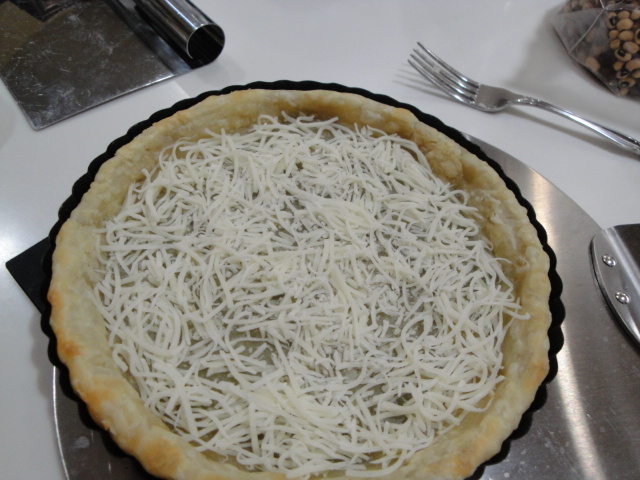 of finely grated cheese which was approximately 3/4 cup (not the 1/2 cup = 2 oz. that seems to be the standard). 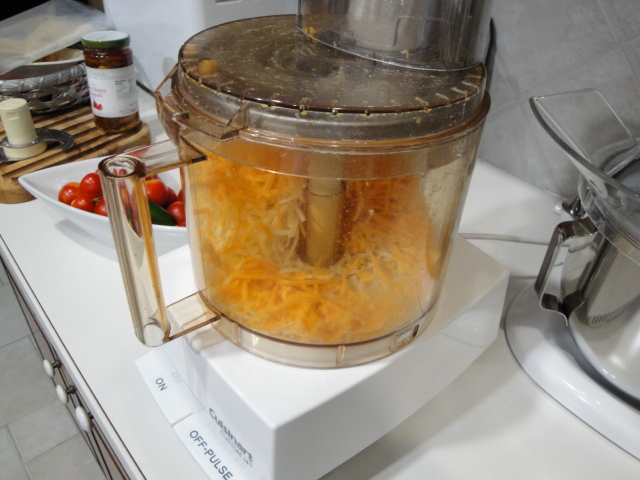 It all depends on the grating, the dryness of the cheese and how tightly you pack the cup. 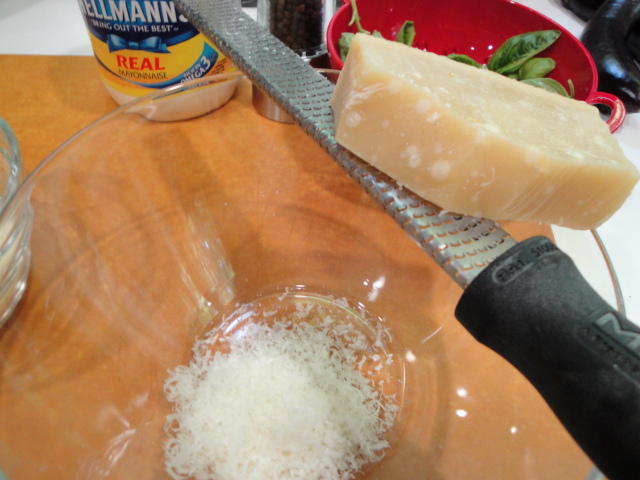 So weigh it if you can, if not 1/2 cup (tightly packed) to 1 cup (very loosely packed) Parmesan will be fine!